What is Patrick Lencioni's major premise on how groups develop into high-performing teams? 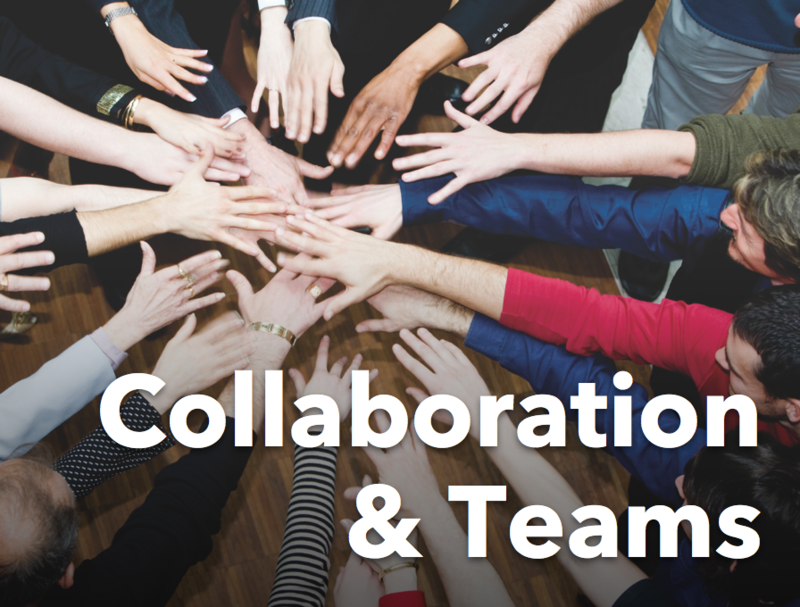 In The Five Dysfunctions of a Team, it comes down to five qualities that people bring to group dynamics: trust, conflict, commitment, accountability, and a focus on results. When these qualities are present, groups are able to accomplish extraordinary things. In the absence of these qualities, groups become mired in personality and political distractions that take away from achieving their goals. Colleges and universities, corporations, local government — pick any organization with two or more departments — have got a silo problem. What would have to change to tear down these artificially constructed walls that create misunderstandings, gaps in communication, all leading to rampant inefficiencies? In this article, we'll look at these issues and I'll suggest how managers and staff can address this problem today. Making Change Stick: Moving Beyond the Rah! Rah! What does it take to make change stick? I'm talking about a month after the organizational retreat. The mission that was so clear over coffee and muffins now seems like a lifetime ago. What happened? In this issue we will discuss what it takes to keep momentum building around organizational change, especially after your people have a glimpse at the light at the end of the tunnel. Anyone who has ever successfully done anything that requires personal effort, like losing weight, quitting smoking, or going back to college at forty eight, knows the difference between insight and action. Insight is hope minus action, a sense that something new is possible. It's moving beyond skepticism, doubt and even resignation. Hope is that first step to initiate any meaningful organizational or individual change. The dilemma with hope, however, is it will not "carry the day", or even a few days after that inspiring offsite. Organizations do many things to bring insight to their staff — retreats and team buildings are two examples where renewed hope becomes the intoxicating elixir. "Maybe this can become a fun place to work again", or "I really enjoy my job" and even a senior management perspective that "We can become an effective, high-performing team." This feeling can lift the burdens and annoyances off the collective shoulders of an entire organization — until the next morning. All it takes to kill hope is step back into your office. The "hope zapper" starts ticking. Check your 150 emails (delete 125, scan 15 quickly and read 10), check your voicemail and attend two meetings. You're done. By the end of the day, you could swear how you felt yesterday must have been a dream. Does any of this sound familiar? The good news is you weren't dreaming. The bad news is the honeymoon is over before it started. "So what's the point of inspiring me only to have it go nowhere?" you ask. Change is hard because people overestimate the value of what they have—and underestimate the value of what they may gain by giving that up. "What will be the follow up to this retreat? We're spending a lot of time and money on this. My experience with previous workshops that were similar to this one is that there was no on-going follow up, so, generally, the participants (including me) went back to their old habits, ways of relating to others, etc." The bottom line is too often we confuse awareness with action. We set the wrong collective expectations for people — that somehow the work ends once the problems been identified. One of the key messages I deliver over and over again in organizations offsites is "the work begins when we're done." Not a popular message but the truth. As stated in the client quote above "there was no on-going follow-up." In essence, the organization (both management and staff) went back to sleep. Why? Because it's hard work to change behavior, have the honest conversations about commitment and accountability. It's much easier to commiserate about too much work and not enough time. The next time you find yourself inspired to make changes, consider that the feeling will not get you there — not even close. It's about having the patience and perseverance to keep revisiting the need for change in the face of nothing changing. Nothing is going to make that easy, but that's at the heart of where change is possible. Are you inspired? I didn't think so. Now get back in there and do the hard work that will lead to the change you saw was possible. I think most of us would all agree that if you've achieved your business mission or vision, you've probably produced a high-level of productivity. But is the opposite true? Does a high level of productivity automatically translate into business success? The simple answer is no. 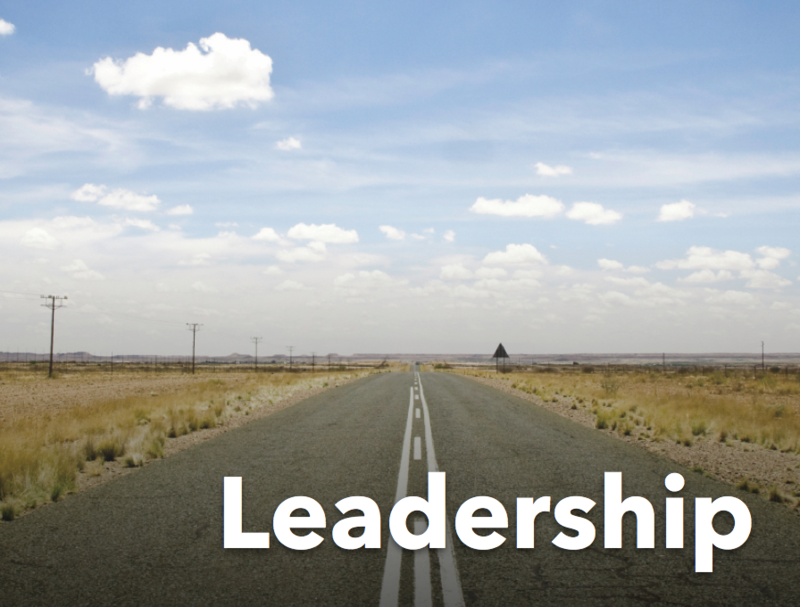 What's the difference and why is this a critical distinction for your organization's success? This is the topic of this month's newsletter. The proposed technology appears to streamline the collection of data into one coherent set of screens and reports. 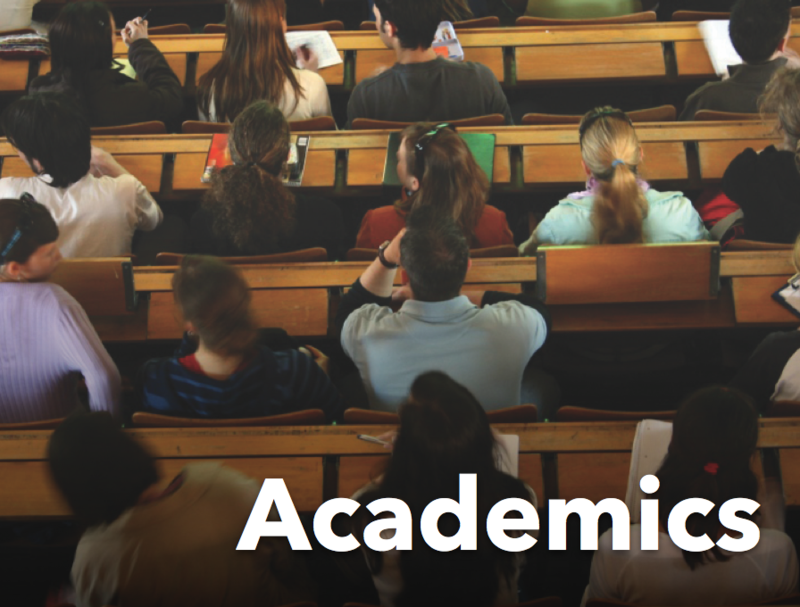 The majority of faculty are loosely aware how the new system will work and have been given an overview of the benefits that this new system will bring. Ultimately the unspoken expectation by all is that it will support the institutions mission. The software gets installed and is ready to use. On paper, everything looks great. That is, until people actually start using it. Unbeknownst to faculty, the data entry requirements are greater than expected and the majority of the work ends up falling on their research assistants. It doesn't take long for a growing dissatisfaction to take hold. What appeared to be a tool to help faculty meet the institutions mission of world-class research, has instead taken their key resources and turned them into data-entry clerks. Software is all about productivity, i.e., simplifying, streamlining, or automating some series of tasks. Software can be a tremendous productivity solution, minus one small caveat — human involvement and the lack of understanding how it impacts people and processes. Software is a linear, problem-solving solution that leads to what we think we want, i.e. "productivity". Unfortunately, productivity is not what we're truly striving for. It's achieving the mission or goals of the organization that is what we're looking for. Achieving vision may involve software, but the real challenge is in understanding and asking broader, mission-driven questions. Frustrated with the new grant submission tool, a senior faculty member complains directly to the president. What used to be a kluge yet workable set of tasks now has research assistants spending the majority of their time manipulating data-entry screens. To make matters worse, faculty are expected to learn the system themselves to get reports about their grants. This is not what they signed on for and a minor revolt ensues by a few influential teaching fellows. The unintended consequence of this "improvement project" is that it unfolded as a linear, software solution, versus a means to genuinely support the mission of the institution. In their haste to streamline and simplify work (remember email), the sponsors of the project lost sight of the larger goal; to support faculty in publishing well respected research and attracting the best graduate students. Although well-intentioned, the tools actually caused a greater sense of lost productivity and increased frustration. It's not that these software tools are bad or don't have a place in helping achieve organizational goals. It's that we don't evaluate them through the lens of meeting these larger questions. More often than not, productivity projects lose their true value somewhere in the hundreds of pages of technical specs that drive these efforts. The alternative is to not underestimate how easy it is to lose sight of the vision while getting caught up in believing the software alone will solve the problem. Starting from original conception, through vendor sales, design and finally execution, broader questions about people and processes will help uncover where the real opportunity and pitfalls lie. Can the software perform the following function? What does business success look like and how will technology help us to realize these goals? Asking the latter question may yield a completely different set of choices. Your team may even discover that the full suite of "productivity" solutions (i.e. — the software you paid for but didn't install yet) may inadvertently cause a greater sense of confusion and ineffectiveness. Don't assume technology will keep you moving in the right direction. You may just find yourself and your people working harder but further away from the real value you were looking for. Why Projects Fail and What You Can Do About It! 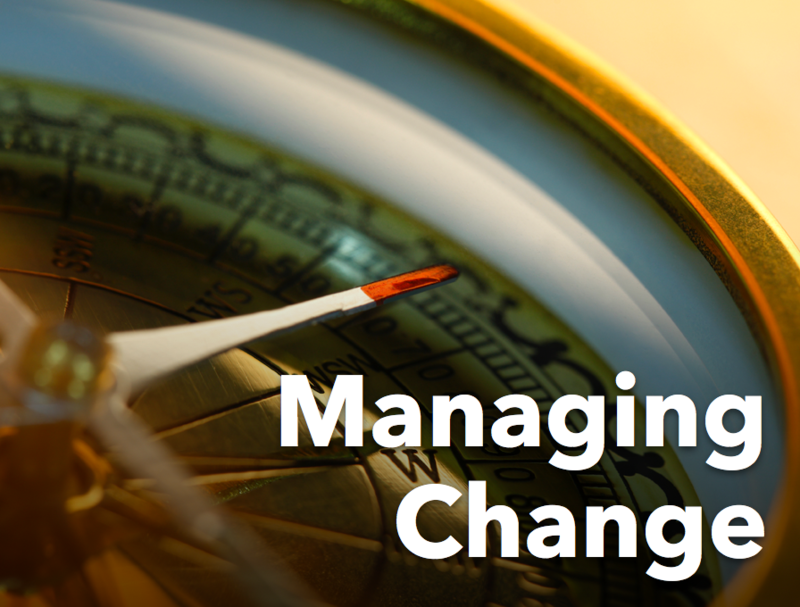 Much has been written on implementing large-scale change projects. TQM, Six-Sigma and other approaches to managing organizational change have morphed into methodologies used in Higher-Ed projects. Drawing from corporate best practices, colleges and universities have successfully integrated process tools and approaches to manage the design phase of enterprise technology projects. What they haven't practiced effectively is a structured approach to the decision-making process around what to implement in the first place. Here's a typical scenario: A senior manager in Information Technology is asked to evaluate the cost and scope for a new ERP System. The reasons for this effort include: outdated systems that are no longer supported, decentralized tools that don't talk to each other, and non-existent centralized reporting. A budget for the new technology is drafted (hardware and software) along with an estimate of the consulting help needed to build the system. The case is presented to senior management, who invariably asks for a reduction in overall costs. Vendors and consultants, eager to get in the door, adjust their fees. A project team is formed, a kick-off event is convened and the project begins. Senior management buy-in is an important first step to get the ball rolling. What's missing in this early selling phase, however, is a rigorous examination of the following three things:— genuine business readiness, criticality or relevance and customer involvement. Enterprise initiatives are not about technology, although they can quickly become systems projects. The work performed on the project and end result desired is all about rethinking how organizations conduct business. Ignoring organizational readiness around process changes, business structures and use of new tools is at the heart of more missed deadlines and perceived project failures. Would anyone in their right mind not re-evaluate the scope of their projects knowing these statistics? Unfortunately, common sense and prudence disappear once the train departs the station. Business readiness means that inheritors of the change have an early voice in the change process. Think of it this way. Would you wake up one day and tell your kids you're moving, without at least giving them a sense that their opinion matters? (that is if they are older than 3) No, you would sit them down and describe your reasoning, allowing them to express concerns, maybe even have a voice in the decision. Much of the time resistance to organizational change is misidentified with the emotion of anger or confusion about not being communicated with. Contrary to popular belief, people accept change. What they don't accept is change being imposed on them. Although conventional wisdom is to limit stakeholder feedback to those who have positive things to say or are the biggest potential troublemakers, you don't improve your chance of success by avoiding difficult conversations or constructive disagreement. Stakeholders (both advocates and detractors) are key to making the case for change and should be included in evaluating the scope of large-scale project. Advocates demonstrate what it means to have an open mind around change, often helping to test the viability of what's being put in place. Detractors are equally important, uncovering where the real challenges lie, sometimes voicing concerns that should be addressed before the implementation begins. Detractors also reveal who in the organization will dig their feet in no matter what the benefit, which is good information in itself. Either way, advocates or detractors help the organization make the case for change, and should be fully communicated with in the early stages of a project. Before management commits the resource investment, setting in motion a chain of expectations up and down the organization, a few straightforward questions need to be asked and answered: What can we count on ourselves to follow through on? What's critical versus nice to have? Finally, why is it necessary now? Criticality needs to be examined in a way that balances project best practices with organizational business readiness. Criticality is more than researching other institution implementation practices or following consultant recommendations for what has to be implemented. It's a bit of a Catch-22 situation though: Senior management waiting for a compelling reason to make the investment while technologists looking for resource commitment to research compelling reasons for change. It's the sponsors of these projects that are in a unique position to demand a higher standard for what's being promised, what's nice to have, and what's out of the question. Criticality needs to be examined carefully, taken apart, and then communicated clearly to those investing in the change. If the goal is to achieve strategic benefits (savings), expectation setting needs to be established up front - Which leads us to our third contributing factor for project success. Who is your customer? It's commonly understood that front-line staff and their managers inherit the work associated with process and system change. In the long run, these groups are the champions who will make or break its success. Too often, we forget that human beings are at the heart of these change efforts. Ignore their concerns, and they'll only do enough to make sure failure won't be pinned on them. Keep in mind that just because your customers have serious concerns does not mean a project should be put on hold. At the same time, focusing only on your most outspoken or obvious constituents won't serve the project in the long run. If anything, too much time is spent preparing for "resistance to change", and not enough time explaining what's coming, inquiring about what people think about the change and validating their concerns. With a direct approach to dealing with conflict, resistance will begin to dissipate on its own. The study validates that with an emphasis on executive support and user involvement, the condition for project success can be laid. Executive support means more than "show me the money" - It demands that business readiness is uncovered, criticality is carefully examined, and customers know what's coming. Only then will "getting off the ground" have a direct impact on the quality and success of the project over the long run. For the complete Standish report, go to http://www.standishgroup.com/sample_research/PDFpages/q3-spotlight.pdf. Listening is a lifetime art, one that can never be perfected. More can be learned from genuine listening than any constructive feedback or insightful comment you may give. Taken from Edgar Shein's book Process Consultation Revisited, "I cannot determine what is the current reality if I do not get in touch with what I do not know about the situation and do not have the wisdom to ask about it." Stop talking, listen and you'll discover what you don't know. Then listen some more. Overview: The difference between an enterprise technology implementation that soars and one that dies a painful death is planning, people, and—most of all—vision. Overview: A Revenue death spiral: sales are down so marketing is slashed, which leads to reduced sales so marketing is cut more, and so on. Overview: Studies consistently show that 80-90 percent of all software and 30-45 percent of all systems projects fail. Yet management tools and techniques, as well as software development techniques, are constantly improving. What are the causes of these seemingly uncontrollable failures? Whatever name you assign, the role comes down to translating ideas, knowledge, and data into collaborative behavior that has the potential to produce real change in an organization. From management's point of view, the role is about helping them steer the ship with quantifiable data to measure results against organizational vision and goals. It's about being able to synthesize a set of conditions in an organization (financial, strategic, process and relationship) to improve the bottom line. Whether internally developed or brought in from the outside, there are certain competencies someone should bring to the table. These competencies fall in three categories — organizational knowledge, business process and interpersonal skills. This skill is about language and relationship. The business analyst needs to understand internal jargon and be able to converse with groups that use it, along with being able to translate "business speak" into English. They also need to be able to navigate key relationships on projects (both management and staff) and work with these groups to uncover problems and opportunities. Organizational knowledge is often stronger in an internal candidate, who has had time to acclimate themselves to the business. For external candidates, having strong interpersonal skills is key to establishing good working relationships, and getting up to speed quickly on demystifying jargon that people throw around so easily. The second competency is business process, or the language of how work gets done. At the most basic level, business process is the series of steps taken to perform tasks in your organization. There are high-level business processes (Overview of a procurement process) and detail processes (Paying a vendor, getting purchasing approval etc.). • Understanding the requirements from the business perspective and translate them into a form that can be understood and acted on by the customer. Go to www.teibelinc.com/pdf/sample_process_map.pdf for a Sample Process Map. Together, these three competencies make up the critical elements for a business analyst to make genuine impact in an organization. On the other hand, the challenges associated with positioning an internal candidate is that internal politics and personalities may make it difficult for them to produce timely change. Sometimes an outside perspective and unbiased point of view is needed to unstick something that has been in place for a long time. Assessing an internal candidate is about identifying someone who recognizes this role as an opportunity to take the next step in their contribution to the organization. At the heart of a good candidate is personal motivation to transition into this role. Without it, no amount of assistance will help them become an exceptional business analyst. If you are interested in a tool we designed to help identify potential candidates and their strengths, download the assessment tool below. Feel free to contact me if you have any questions about it. If you are interested in an assessment tool to evaluate internal candidates, go to this URL: www.teibelinc.com/downloads/pdf/assessment-business_analyst.pdf. You can also inquire about our consulting services and workshops that enable individuals to develop business analyst skills. Five Phases to Exceptional Meetings! There are two concerns people bring to the meeting experience; "Why am I here?" and "Where are we going?" These concerns come up because meetings are often placeholders to guarantee face time with coworkers. This rationale for meetings, however, rarely impacts individual or group productivity and is a low standard for meeting excellence. So what can be done to transform meetings so they are a valuable use of people's time and contribute to group productivity? Often overlooked, people dive into a topic without a clear sense where they want to end up. It usually is characterized as an "update", which actually means the presenter hasn't thought through why they are bringing this topic to the team. Groups that regularly meeting often do not distinguish topics that require a decision from those that could simply be communicated offline. The mistake is thinking the topic itself is the objective, versus it being the background that leads to an objective. Define the outcome in terms of "What do I want individuals or the team to do differently as a result of discussing the topic"? Often unspoken, groups leave it up to each person to determine the mechanism for achieving objectives. Consider ten people planning a trip to California from Boston, each having a different idea how they are going to get there. Some want to fly, others drive, while still others think a bus is the best alternative. Now imagine these alternatives don't get discussed. What a surprise when people discover the trip never happens. This ambiguity happens constantly in meetings. Like planning a trip, groups need to be explicit with each other about HOW they are going to achieve meeting objectives. Will it be a vote, consensus, thumbs up or down or maybe it's just information gathering? As an example, if you were attempting to come up with quarterly goals for your organization, the type of actions needed might be brainstorming, prioritizing, then voting. Framing how the objectives will be achieved gets people on the same page. By taking time to identify the "type of action", you'll have a better chance of getting out of the parking lot and on the trip. Focused dialogue is that phase in a meeting when people get to express opinions, ideas, facts, arguments and counter arguments. It's basically an opportunity to engage in discussion so that everyone is up to speed on the topic. This is not decision-making, but information sharing, a critical step to insure buy-in for the next phase of the discussion. Once sufficient dialogue has happened, the discussion must move into this phase, which is the equivalent to "We've heard everyone's point of view. Now it's time to focus on our agreed to method to achieve the outcome." It's critical that the group collectively agrees to make the transition to decision-making. Often groups unconsciously move into this phase out of frustration that the dialogue is going on too long. Then someone slips back into expressing an opinion, easily digresses the group back into unfocused dialogue. However, when it's been explicitly stated that the team is in phase 4 (decision-making) and someone slips back into an opinion, it's possible to express "I just want to point out that Johns comment will move us back into dialogue. Is that what we want to do right now?" Being able to ask this question at that moment will keep the group focused on the task at hand, and is only possible if the group has the awareness where they are in the five phases. One more thought on decision-making. Don't confuse buy-in around a decision with the need for consensus. Buy-in is about agreeing to approach the problem in a specific way. Everyone does not need to agree with the approach, but everyone does need to express that they are willing to go along with the decision. Buy-in is not necessarily consensus. Finally, one of the most critical pieces to meeting effectiveness is validating results. It's an opportunity for those people who committed to something to verbally reflect on what they will do. It's also the leader asking the group "What did you hear me request", and then letting people speak what they heard. You will be surprised how often what was heard was not what was requested, or some key piece was left out. Validation takes the ambiguity out of who made what decision and each person's understanding of what they committed to. By conducting your meetings with these five phases in mind, you'll have greater success getting to meaningful outcomes, potentially transforming the meeting experience from one of frustration to one of value to you and the organization. If you are interested in a visual representation of our "Meeting Effectiveness Model", send an email to hteibel@teibelinc.com. I'll send you a copy. You can also inquire about our programs that teach this skill to individuals and teams. After all is said and done, consultants are only as good as their ability to leave the client in a better position. Whether we're assisting with integrating a new technology, developing a sales or marketing strategy, or doing an organizational assessment, there is a common element in each of these initiatives; you and your people. A new financial system is going in? — get an expert who can help you. Doing an organizational merger? Hire someone who can navigate these choppy waters. What are you buying when you retain consulting services? In a nutshell, it's the promise that you won't have to reinvent the wheel. It's the hope that by relying on someone who has been through it before, you'll get the best path to success. So why is it still such a common experience that organizations feel less than satisfied with external involvement? Yes, there are consultants who far surpass client expectations and deliver lasting value. But far more frequently, the client is unable to perform the tasks on their own, or make the changes permanent. Consultants enter a project in one of two ways — Do I catch fish for you or help you learn to catch fish yourself? Consultants and customers often have different expectations — the consultant delivers recommendations, while the client expects measurable benefits. These are potentially two very different outcomes. What's really going on is both parties are often unwilling to do the difficult thing, that is, uncover how little the organization is prepared to inherit change. So what is a better model for transitioning responsibility and skill to the true owner of the change, i.e. you and your people? The shift that needs to take place in organizations is "helping learners help themselves". Take any initiative where a set of skills needs to be transferred from one group to another. What would it take to make the learning stick? Here's a hint. It's not about recommendations, assisting, coaching or doing for you — but simply "helping you help yourself". We're all so good at doing, but turning things over to others requires a different skill, sometimes described as "delegating". But delegating only is only the first step in transferring skills. Try these steps the next time you're demonstrating how to perform a task - running an electronic report, incorporating a speaking skill or performing a new business process. It's step 2 and 4 that are key, but are the ones we avoid doing. Who are they? It's those "experts" running around your organization doing everything for everyone. They are the worst culprits because we buy into their excuses of "it's faster for me to do it myself" or "I'm just not a great delegator or teacher" etc. etc. etc. "Those that can't do, teach — those that can't teach, consult". Over the last eight months, I've had the privilege of applying the principle of "helping others help themselves". A formal practice even exists that exemplifies these principles, i.e., the practice of "Process Consultation". My role with a particular client is to help them become a high performing senior management team — not by making recommendations or taking them through exercises, or even coaching. I observe them in action every two weeks during their all day staff meeting, continually looking for opportunities to apply the four steps described above. To their credit, they insisted that Process Consultation be used, which forced me to be disciplined about "what does it really mean to not do for you, but to get you to do for yourself?" At first it appeared to be the ideal consulting gig. I listened, did very little talking, maybe even made an observation here and there, finally letting them deal with the problem. Sounds simple right? It's probably the hardest consulting work I have done to date and required the highest level of patience on my part. Why? Because I am so accustomed to being the expert, the solver, the guy to make it happen. As the consultant, I'm expected to provide out-of-the- box ideas, lay out a plan, and to my private desires — save the day. Clients don't ask "Can you make sure whatever you're doing outlives your involvement?" and it's definitely not in my contract to make sure they integrate my recommendations. We underestimate what it takes for people to make new behavior and skills their own. The book "Process Consultation Revisited", by Edgar Shein so exemplifies the challenges and value around the "helping relationship". His work is at the heart of making customers effective versus creating an enabling behavior between consultant and client. A must read for any internal or external consultant. What's fascinating about this philosophical approach is becoming aware how much customers inadvertently turn over their power to suggestions, recommendations or coaching, as if our ideas are sufficient to make the change happen. Start by asking the question "How can I help prepare this group to help itself"? If you're the client, ask "What can I do to take ownership of this process?" Once you shift the focus from doing to helping, an entirely new set of questions emerge. "What does it take to genuinely transfer knowledge or skills?" "What are the barriers to someone being capable to perform the task themselves?" Consultants should help more and solve less. This is not to say that there isn't a place for expert consulting, bringing years of knowledge to a problem, evaluating it, then recommending a course of action. But how many times have the most well respected consulting firms participated in one of your projects, only to leave before the change is implemented. What's missing is genuine listening for what it's going to take to leave your organization in a stronger position, not just with good ideas that don't make it past a report. If you're consulting, just know there are a million "fix- it" firms and individuals ready to solve clients problem. If nothing else, be different. Start applying a helping role in your work. You'll discover new areas of value you can bring to organizations. And if you're using consultants, stop listening to everything they tell you and ask them to help you help yourself. Don't wait until they leave to realize you don't know where to start. This focus on accountability to results will serve all of us in the long run. Number 10: "You're right; we're billing way too much for this." Come on. We're not all that bad. Exceed client expectation and billing rates becomes secondary. End of story. Number 9: "Bet you I can go a week without saying "synergy" or "value-added". OK. Maybe I can't. Jargon is our security blanket, a way to feel connected to others who have also left the comforts of a 9-5 job. We use phrases like knowledge transfer, business process or strategic initiative because it feels good. Maybe it even makes us feel important. Now can we get on with this collaborative dialogue? Number 8: "How about paying us based on the success of the project?" Now let's not get carried away. On further thought, I'm not sure some clients would like this arrangement. By success of the initiative, do we mean the value we're delivering? So, if we can help save a client two million dollars and take just 5% of those savings, that would be $100,000. When do we start? 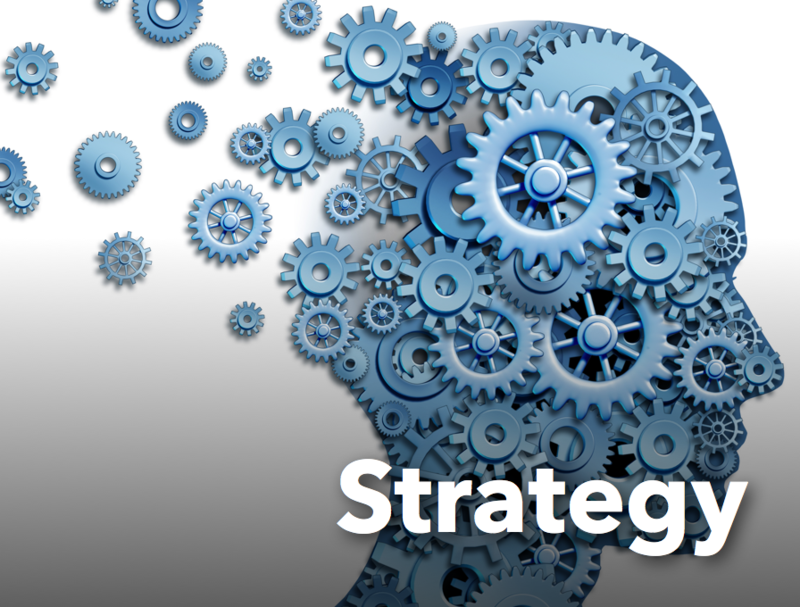 Number 7: "This whole strategy is based on a Harvard business case I read." Expertise used to mean experience. Now you could build the facade of a consulting practice by googling "Consulting Methodologies". Thankfully, most customers know the difference between talking the talk versus walking the walk. By the way, when searching in Google, use quotation marks to help narrow your search. "Actually, the only difference is that we charge more than they do." "I don't know enough to speak intelligently about that." So here's the problem. We believe not knowing something means we're not as valuable to our clients. I say it's time we collectively show our true selves, even the less than perfect side. Here's a little exercise. If you're consulting, repeat after me: "I don't know". Again. "I don't know". One more time. "I don't know". Good. Number 4: "Implementation? I only care about writing long reports." Why does every consulting gig have to end in a report? Is is really necessary? I say quantify the problem, solve it and move on. We're not being paid for long reports, are we? Read through those hundred page documents you've written or received. If you can't find a clearly described problem and road map to solve it, you've basically got a hefty paper weight. Number 3: "I can't take the credit. It was Ed in your purchasing department." It's no secret that consultants have a strong need for attention. I'll admit it. Although it's not our most flattering trait, it's consistent with our desire to save the day. Think Doug Flutie in the final seconds, throwing the famous touchdown pass for Boston College. That's how we put ourselves to sleep at night. Alright, that's how I put myself to sleep at night. Number 2: "The problem is, you have too much work for too few people." The nice thing about bringing us in rather than additional employees is it's so much easier to boot us out the door. For a short period we get to be part of the family. You may even invite us to your parties. And then, bam! projects over, thank you very much, we're out. Yes, we all succumb to the occasional project where we go on "permanent adopted status"? Long term projects do create stability in our uncertain consulting lives, but don't kid yourselves - we're still outside the family. Don't forget that. "Everything looks okay to me." At least once in every consultant's career, the following words should come out of our mouths, "I can't help you." What an honest expression of our commitment to customers. What an exhilarating thrill and ethical stand to turn down work outside our scope of expertise. By the way, if you do find that courage to turn down a project, congratulations! Now call me and I'll figure out how I can get it done. When you car battery dies, you jumpstart it or buy a new battery. Simple problem, straightforward solution. In your organization, when voices are heard up and down the hallways that people feel misled, kept out of a process, or don't think changes are necessary, the remedy is not as straightforward as replacing your car battery. Complex enterprise projects are unique from conception to completion. There is no script that guarantees success. "Problems can be solved while dilemma's need to be managed." Enterprise projects are perpetual dilemmas. Unfortunately, human nature attempts to place simple labels on these complex projects; Success, failure, good, bad; these are insufficient descriptions of what's really going on. "The truth is that the great majority of IT projects do not fail - most simply do not go as well as originally hoped, take longer than planned and cost more than anticipated. These are really not failures at all; you might classify them as "discouraging successes." Almost all IT projects are discouraging successes. Unfortunately, managers, outsiders and even users view them as failures to some degree." "Discouraging successes" is that grey in the middle, which points to one of the least understood elements of project work; the art of communication and managing expectations. "Don't Look Behind The Curtain"
Too often, the early-selling phase of an IT project focuses exclusively on buy-in from senior management. As long as funding is secured, the rest are just "details, details, details". The problem starts with the dialogue and decision- making leading up to the actual execution of the work. It can be characterized as "don't look behind the curtain". In order to get this buy-in, vendors, consultants and even internal project teams get caught up in creating a misleading or incomplete impression of the "true value" of an IT implementation. Of those completed on time, only 42% had the original proposed features and functions. Less than one tenth of all projects deliver on the proposed features after making it through the acceptance phase! "The price for this project will triple by the time all the functionality is in place. Our people will be overworked for the next 12-18 months and stakeholders will continuously question management's rationale for this investment." "We'll be on-time, on-budget, with all functionality on day-one." At best, this one is disingenuous, at worst - irresponsible. So what should be communicated? Selling the project means balancing the need to create positive momentum (funding, enthusiasm and resources) with setting appropriate expectation. "Full disclosure" doesn't work but neither does playing it so close to the vest that no one knows what's coming. The grey in the middle means recognizing the importance of creating a shared vision, along with an acknowledgement of the very real challenges in bringing change to an organization. And if you don't believe these challenges are real, re- read the statistics. 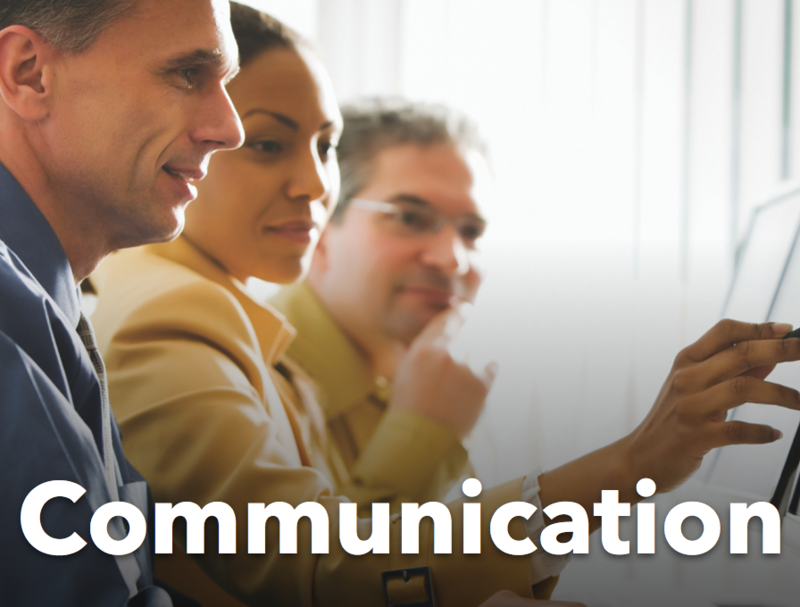 A simple yet infrequently performed task is to initiate a dialogue with sponsors and project champions around the type of communication desired. Will we share bad news? Will we include difficult stakeholders in the process? What does it mean to have a balanced communication strategy? Having this conversation will go a long way toward establishing a clear message throughout the project. Think of the following complementary roles: Nurses and doctors, administration and faculty, staff and managers. What makes them complementary? Some roles hold the key, while others know how to open the door. Both groups are critical to running a smooth organization or implementing a successful project. An influencer may be a respected employee, an effective communicator or a trusted advisor to management. Influencers don't control the final decision, but they do provide key information to decision makers about the direction the organization should go. Decision-makers rely on influencers more than you know. Find out who the influencers are in your organzation. 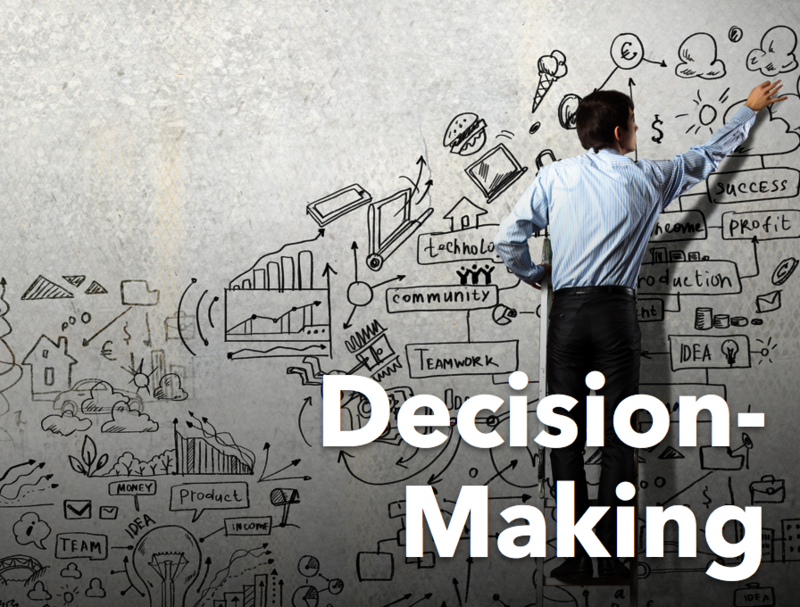 Ask the decision makers who they will use to help make their key project decisions? And finally, approach the influencers and find out what their concerns are. It's selling 101 - "What's the pain they want to avoid or what opportunity do they want to take advantage of?" What is the risk they're trying to mitigate? How can they improve the bottom line? Everything else is just details. 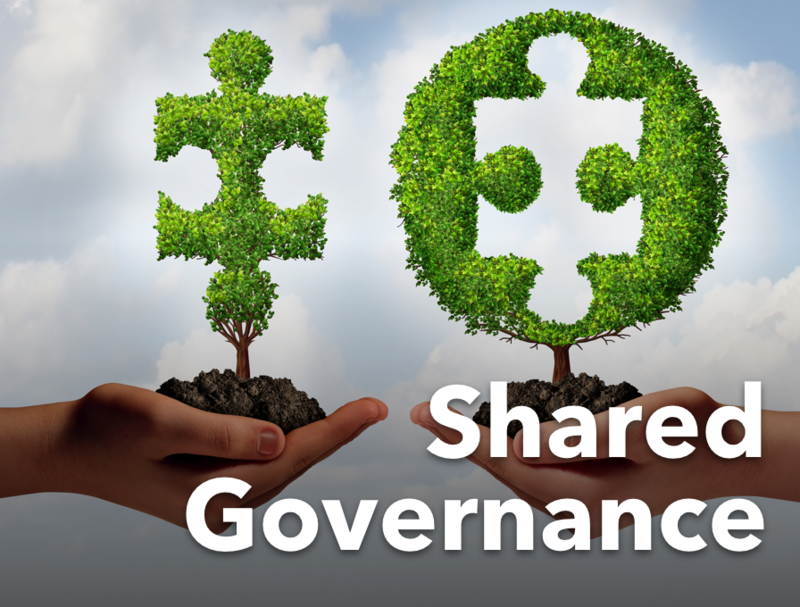 Remember, senior management is also responsible to someone, whether it be the board or other governing bodies. You can help senior management by giving them a simple framework to evaluate projects. This will do a number of things. One, it will clarify which priorities will probably get funding. Two, it will reveal which projects need more data before they can decide and third, it will help you understand senior management goals and where to put your own resources. Finding that middle ground in your communication strategy, drawing up influencers in the decision-making process, and speaking the language of senior management - these are three elements that have great impact on getting a project off the ground properly. Regardless of how much information you need to speak to in your presentation, reserve the last twenty minutes for group reflection, otherwise known as "the debrief". "There's more content that we can cover in the last 20 minutes. Instead, let's look back on the last 3 hours and discuss what we've learned or next steps that should be taken." This is one of those common sense actions that most agree with, but few make happen. Remember, what YOU say is less important than the results you produce in others. Who Knows How Things Work Around Here? Process maps can be used in a variety of venues. In organizational mergers and acquisitions, they can set proper expectations for the organizations new structure and uncover redundancy of work tasks. In enterprise technology projects, process maps can facilitate design dialogue between all levels in an organization and can become the foundation for communication and training content. "A clear and comprehensive picture of the way business is done." "Any method used to depict a process in a manner similar to the way a map depicts an area." "A method for depicting information flow in a diagrammatic form, defining key input and outputs along the way." Process mapping is not just about back office use of Visio to represent complex technical designs. Its greater value lies in demystifying how people conduct business and clarifying jargon that is too freely used in business redesign. Even more important, these visual depictions open dialogue for non-technical people to intelligently inquire and understand how work gets done across groups. Think of process maps as a visual guide to go from A to B. For example, the entire procurement cycle in an organization can be visually represented from the point of a purchasing need through payment to the vendor. Designed in a user-friendly format, process guides help stakeholders, end-users and project team members with a shared view of the organizations structure. It can serve as a critical communication tool to help stakeholders speak the same language around change. To see an example of a procurement cycle map created for an organization, go to: www.teibelinc.com/pdf/sample_process_map.pdf. Process maps also provide a view of what it takes to get information in and out of a manual or electronic system. An input might be entering a purchase requisition or new employee into a system, while the output is the payment on that requisition or a summary report of the HR record. Inputs and outputs are key components to process map content. When inputs and outputs are graphically represented, key milestones become clearer, giving further meaning to the successful completion of a task. If nothing else, capturing the critical inflows and outflows of a process puts the team in a much better position to understand who's involved in what task and the interdependence of each others work. For process maps to be an effective communication tool, they need to be user- friendly. This means non-technical people are able to follow the flow without having to know business process jargon (multiple flows, logic Time, and FIFO lane, just to name a few). If your primary audience doesn't find the visual representation appealing and simple to follow, it won't communicate value. So who are your best candidates to design these maps? The work of designing process maps is to put complex tasks in the context of a business need. People with strong technical background may not be the best resource to build these diagrams. Finally, don't underestimate the value of capturing organizational process steps. Although it may not be obvious that your people understand the big picture of how work gets done, they probably don't to the level you would expect. User-friendly process maps can bring organizational confusion to the surface, where it can be dealt with and demystified. This can go a long way to improve work effectiveness, especially during technology or organizational transitions. Unlike a mystery novel, your audience wants to know where you're going. Summarizing your conclusions up front gives them a road map for where you're going. By cutting to the chase, you will require less formal content to support your conclusions. Instead, you'll find yourself synthesizing supporting content with talking points, versus slide upon slide of mounting evidence. Finally, with a stronger connection between where you're going and how you're trying to get there, you'll be creating better opportunities for people to engage in dialogue. In the book Organizational Paradigm Shifts, Kidwell and O'Brien argue The new economic realities confronting higher education require a serious rethinking of the way that work is done, the way it is organized, and the systems needed to support the academic enterprise. Alternatively, as described: Today's "corporate" re-engineers are taking apart current hierarchical business models and are developing in their stead process-oriented organizational structures. Slowly but surely process-focused business structures are making their way into higher education. On the administrative side of the house, project teams are the means to lead and manage enterprise technology initiatives, organizational efforts that require significant business process redesign. What Makes Project Teams So Critical? Project teams are a byproduct of the lack of process-focus in the traditional hierarchy of business units. For example, in enterprise initiatives, project teams manage the redesign of a procurement process, with representation from the finance division. The finance division will eventually inherit elements of the new system, but is not in a position to take apart the current system and reassemble on its own. With consultants having implemented elsewhere, partnering closely with "loaned" internal experts in the procurement process, the new team works to unravel the current business practices that make up procurement. When the new system comes into being, management's expectation is that the project team will disband, consultants will depart, and employees will return to their permanent roles, albeit with a new set of skills. It's when these employees move back to their respective jobs that the disconnect in process-oriented work and hierarchical structures reveal itself. By definition, processes are about inputs and outputs, with sequential steps that lead to a recognizable benefit for a customer. (however you define the customer) Pick any example of business activity in your organization-paying a vendor, buying supplies or hiring a person. These processes run horizontally across the organization, traversing multiple business units. At the same time, the business units responsible for specialized administrative functions are managed vertically, each owning a piece of the larger process. The basic dilemma with hierarchical structures is that they are primarily set up to maintain control, not manage ongoing change. But in the words of Yogi Berra "It ain't over til it's over", and these projects ain't ever over. One of the problems with process projects is what is meant by the term "over". Redefining a business process may appear to be simply replacing an existing system with a new one. On the surface this is true, except that it always takes longer than expected for the "new" process to become "old" again. Is the project "over" when the system goes live? Is it when the project team disbands? The truth is once a new process is in place, the process of acclimation is just beginning. And it's those hierarchical structures that end up inheriting the responsibility for bringing acclimation of the new process to the larger organization. Hierarchical structures manage up and down, but not across units. Processes, on the other hand, flow horizontally across business units. The result is administrative structures have little understanding how current and new systems touch departments outside their own. When employees who participated on the project move back into permanent positions, they are often given the responsibility over some piece of the new system. It doesn't take long for them to realize that the existing administrative structures, (such as HR, Payroll, Student Services or Finance) each own a piece of the new process, but are collectively an impediment to supporting ongoing improvement. The communication and activities that flowed easily within the project team now don't exist among these structural silos. With this pattern repeating itself over and over again on technology projects, management ends up keeping the project team intact and/or retain consultants, both options interpreted as unexpected consequences of poor project management. In hindsight, these projects are bound to create an ongoing need for external departmental support. Sponsors should consider at the very least to open the question of how the transition will flow back from the project team to the administrative departments. This conversation should happen early in the project, when business structures can be evaluated and potentially modified to accomodate new processes. Unfortunately, this is rarely done and causes much misunderstanding and chaos at the end of the formal project phase. An even greater dilemma facing senior management is this: Just when they are looking for the benefits of their investment to start paying off, does it become apparent that the strategic value outline in the project charter has been hijacked by the sea of technical and structural hurdles. It becomes almost impossible to effectively manage IT, HR and Finance groups through this maze of challenges. In this case, the structural silos play havoc on the expectations for a timely return on investment. 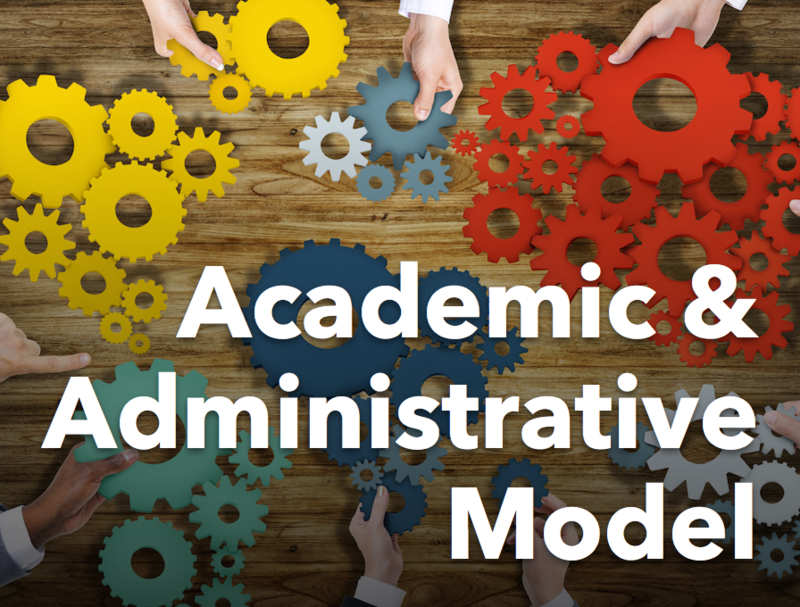 Without completely re-engineering the administrative function (which is a great idea but may not happen in your tenure) what would it look like to loosen up the top-down approach? First, it needs to be acknowledged that project-style work more closely supports these strategic initiatives and must be integrated across organizational structures, especially when the project is perceived as "over". The inter-relatedness of department activities and employee day-to-day work demands more people understand the big picture and where they fit in. Secondly, faculty and administrators need to demonstrate better collaboration across administrative and academic departments. This is critical to improving process flow. Institutions can no longer afford to have the highest form of problem-solving across these two groups be faculty complaining about administrator's lack of mission focus and administrator's complaints about lack of faculty compliance. Both sides need to genuinely start working together if business processes are going to improve. Finally, sponsors of administrative initiatives needs to take a more active role in leading people to the promise land of improved business performance. There is so much inertia to maintain traditional hierarchical structures as they are. Leadership needs to get creative in taking apart existing departmental structures and bring more process-style thinking directly into the groups that own these systems. It's only then that the disruption created by taking apart old systems and creating new ones that the intended benefit will get realized in a more fluid and timely way. It allows individuals to generate ideas before settling in on any one path. Because of the size of the Post-It, people are forced to describe their idea in succinct ways. Once displayed on a board, the group can participate by reorganizing the information, thereby creating collaborative opportunities for discussion. The next time you want a group to brainstorm, give each person a post-it pad and ask them to write down five ideas. Then post each on the wall and discuss. As obvious as this is as a brainstorming tool, it is rarely utilized by groups working through a problem. Don't wait for consultants to introduce these in your group! RCM or Responsibility Centered Management is the coupling of financial choice with consequence, seeking to right the imbalance of authority lying with faculty in departments and schools, while most responsibility lying with Central Administration. Learning how to integrate strategic thinking into day-to-day management can transform an institution into a strategic organization that operates with an effective understanding of environment, mission and values. Collection of essays that explore different methods of seeking, implementing and coping with a new higher education paradigm, i.e. the growing demands institutions face to reduce costs, improve quality, and work harder to meet the needs of their customers.